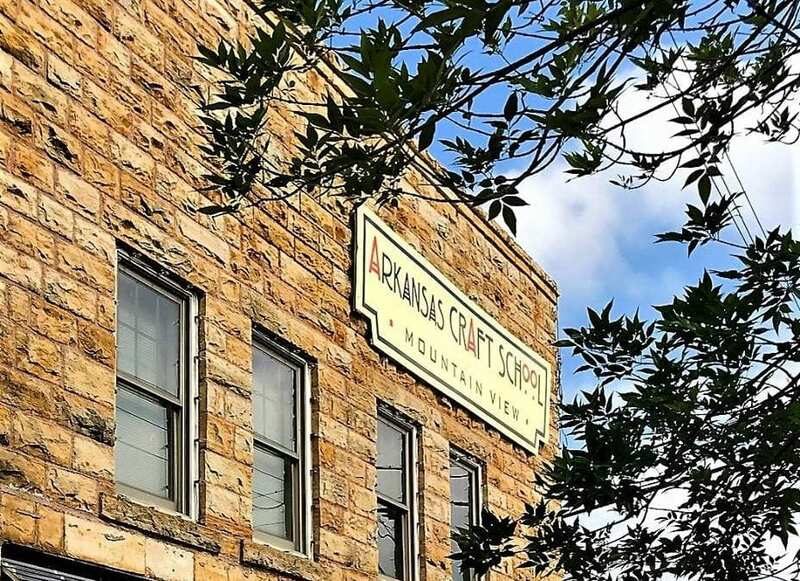 Arkansas Craft School March classes include “Painting Big”, “The Fine Art of Faux Finishes”, “Introduction to Wire Wrapping”, “Encaustic Photo Collage”, and “Spring Soundscape”.MOUNTAIN VIEW, AR, MARCH 15, 2019 – Arkansas Craft School has several crafts classes offered for the end of March. See website: www.arkansascraftschool.com to register. Call 870-269-8397 for more information. “Introduction to Wire Wrapping I and II” with Dora Gonzalez on Friday & Saturday, March 22 & 23, 1-3 pm both days. If you register for Wire Wrapping I and II, the fee will be reduced to $30 for each or $60 for both plus material fees. $20 materials fee for Wire I; $30 materials fee for Wire II ($50 total) – payable directly to instructor day of class. “Spring Soundscape” with Aly Dearborn and Patricia Kilpatrick on Sunday, March 24, 2-3:30 pm. Free (donation to ACS requested). “Painting Big” with Adrian Deckbar on Thursday, Friday, & Saturday, March 28, 29, & 30, 10 am-4 pm. $85 a day, bring your own materials. “The Fine Art of Faux Finishes” with Lynne Blanscet on Friday & Saturday, March 29 & 30, 9 am-4 pm. $150 plus materials fee $20 payable to instructor. “Encaustic Photo Collage” with La’Nelle Gambrell. By appointment. Call for available dates or to request a specific date 870-746-5506. “Introduction to Wire Wrapping” – You have seen many necks and ears adorned with wire wrapped crystals, or other minerals. Now you can see how they are made and make a wire wrapped pendant. For those interested in working with Arkansas mined quartz crystals, Dora Gonzalez of Mozart Mountain Creations can share all kinds of stories, as she mines all of her crystals herself @Ron Coleman Mining in Arkansas – wow! “Spring Soundscape” – Celebrate Spring with us making a joyful noise with Gongs, Crystal Bowls, Drums, Rain Sticks, Bells, and more. Bring your own sound makers. Or, simply come and bathe in the healing vibrations. We will have plenty of instruments available, too, for you to use. If you have a favorite meditation cushion, bring that, too. We will have yoga blankets available to use. Free and open to the public, so bring your family and friends. “Painting Big” – This course will inspire you to go larger with your painting. We will work on sizes 36×48 and anything in between. You will either work from an existing smaller painting or a photograph. You will also learn the value of ‘toned grounds’ and gridding. Bring some big brushes! This workshop with renowned artist Adrian Deckbar will teach you how to “go big”. The pieces created in last year’s workshop are phenomenal. Come make your own big art! “The Fine Art of Faux Finishes” – In this two-day course with an interior designer, Lynne Blanscet, students will be introduced to the history and techniques involved in creating faux finishes, such as parchment, marble, lapis, gold & silver leaf, gold, and other metallics. Hands-on for many finishes. “Encaustic Photo Collage” – Spend a day learning encaustic photo collage with award-winning artist La’Nelle Gambrell at her beautiful, sanctuary studio located on Fox Mountain, 14 miles north of Mountain View. The art of encaustic uses molten beeswax, crystallized tree resin and pigment to produce images with translucent depth and a surprisingly durable surface. A medium of growing popularity, its history dates back to the 5th century B.C. and was used beautifully by the ancient Greeks, Romans, and Egyptians. A multi-talented artist, La’Nelle Gambrell teaches a number of the encaustic techniques she has perfected over the past 7 years, starting with an introduction to encaustic using photo collage in this one-day, six-hour workshop. No prior art experience necessary. Materials are included in the tuition as well as beverages and lunch. Students will leave with at least two finished pieces of encaustic art. You will receive plenty of individualized attention as class size is limited to 3 or less, and individual tutorials are possible. La’Nelle will accommodate students whenever feasible, including weekends. About Arkansas Craft School: The Arkansas Craft School (ACS) is a nonprofit 501(c)3 organization dedicated to the growth, appreciation, and instruction of arts and crafts. The ACS encompasses many styles of art and craft, both contemporary and traditional. 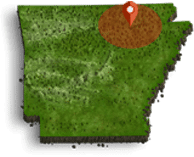 Situated within the unique, natural beauty of the Ozark – St. Francis National Forest, the Arkansas Craft School is conveniently located on the Square in the quaint & charming town of Mountain View. In our historic building (built in 1925), have multiple specialized studios for clay/pottery, woodturning, glass/metal/jewelry-making, weaving/fiber arts and studio arts. We offer a wide variety of courses for children and adults. All of our classes are purposefully small to allow individualized instruction. Classes provide hands-on, engaged learning in a creative environment. Students will come away with beautiful art crafted by their own hands and the skills to continue creating. Studio passes are available for those who wish to continue honing their skill set using our equipment. Our courses are taught by highly skilled artists/instructors, many of whom are Arkansas-based and renowned across the country and globe for their expertise in their craft. Class sizes are kept small to allow for individualized guidance and instruction. The ACS is supported in part by the Arkansas Arts Council, an agency of the Department of Arkansas Heritage, the National Endowment for the Humanities, and the Windgate Charitable Foundation. The Arkansas Craft School is located at 101 North Peabody, in a historic building on the courthouse square in Mountain View. Nestled in the heart of the Ozark – St. Francis National Forest, the quaint town of Mountain View offers a stunning natural environment for creative learning. Cathy Drew is a lifelong resident of the region that she loves to promote. As a matter of fact, she was born in downtown Batesville in the late ’60s, which is in one of the eight counties she now enjoys encouraging people to visit. Jeff Drew is her husband of almost 29 years. They have a son, Jonathon (Jon) Drew, his wife Devyn Stewart. Drew is also grandmother to Jon and Devyn’ s son, Jase Drew. However, Drew can’t skip the other part of her family: the pets! Lady Bird (a stray dog welcomed into their home in June 2012) and of course, Howard – – a puppy compliments of Lady Bird shortly after arriving at the Drew home. They also have Kasha whom Drew inherited when her mother passed in 2016, and they adopted Bullet, a stray in November of 2016. Drew, became associated with the Ozark Gateway Region in 1990 while working at the ad agency (The Media Market Inc.). The agency handled marketing for the regional association where she along with her co-workers produced an annual tabloid publication. She began work as the director of the Ozark Gateway Region In June 2000. After Drew became director, she took the region to the next level by helping the tourism organization create a new website and moved it from the old newspaper paper tabloid publication to a color magazine format. Over the years Drew has helped the organization meet new marketing goals, such as in- and out-of-state marketing, assuring that all 105,000 copies of their magazines are distributed each year. Drew also helped the region create a heritage trail map that is still on posters in many establishments across the region and Arkansas. She oversaw development of a motorcycle route map that folds into a credit card format for riders, as well as those seeking scenic routes to enjoy the beautiful Ozark Mountains. She has attended several AARP Shows across the U.S., representing Arkansas. She helped open a visitor center for the Ozark Gateway, allowing visitors to pick up information from across the entire state 24/7. In 2016, she assisted creating the first Ozark Gateway Region Golf Classic and the tournament continues to grow each year, allowing the organization to grow its co-op program, helping each county have dedicated promotion. Drew stays busy at Ozark Gateway as the ad sales manager, magazine editor, day-to-day office operations, trade show representative, as well as magazine distribution representative all while making sure that the region is represented all over Arkansas and southern Missouri. Drew has been featured in several local and statewide publications over the years as well as the 1997 cover of the Ozark Gateway Region tabloid along with her then 4-year-old son, Jon. She has received several awards such as the Batesville Rotarian of the Year in 2010 as well as a three-time Paul Harris Fellow. She also has served as an Independence County election commissioner for several years and now serves as their co-election coordinator, helping with behind-the-scenes management of voting equipment, day-to-day election deadlines as well as poll worker training. Drew serves on the Arkansas Travel Council Board of Directors, Ozark Foothills Film Fest Board of Directors, Batesville Rotary Club Past President and is the Rotary Clubs current publicity chair. In March of 2018, Drew was honored with induction into the Arkansas Tourism Hall of Fame for her many years of dedicated service to the tourism industry.